The Storython has already taken place – you can read more about it here. This YD Storython is an event, aiming at creating stories from data using the YDS platform and other tools. The event will focus on traffic and project data from Galway City. 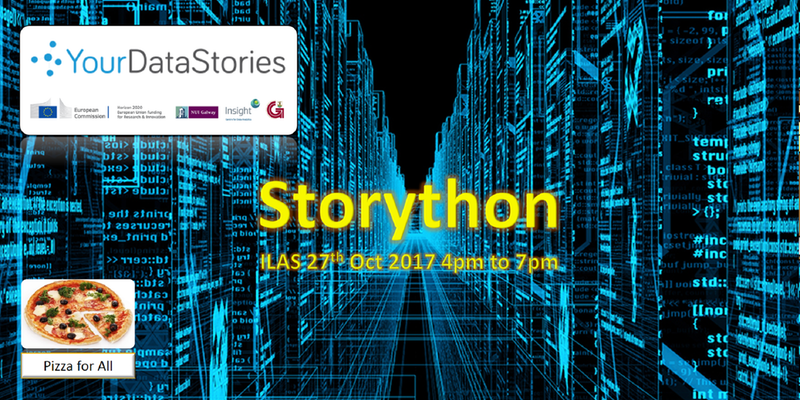 The Storython will involve 4 teams of 5-6 participants with each team competing to create the best digital story from the data available. Registration and more details on the Storython can be found here.